It's always a joy working with Faber Peak Singapore for their shoots! Quick shoutout to my very nice 'date' for the shoot too! 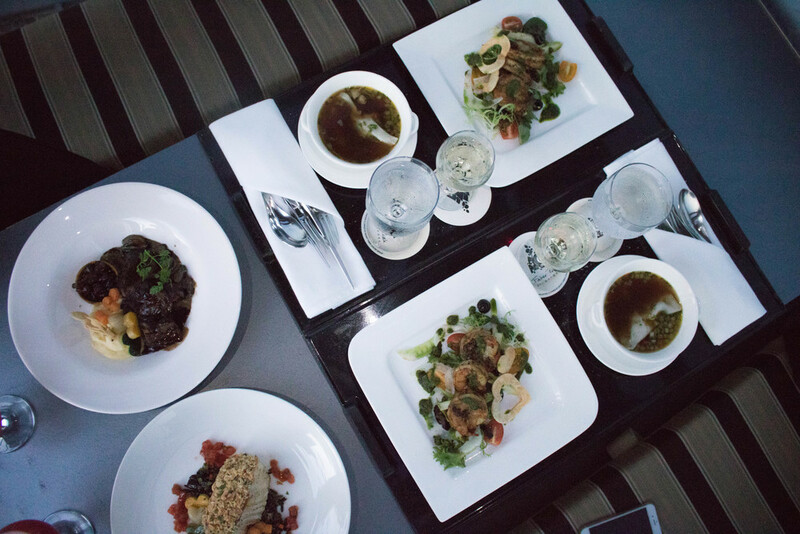 I had a great time at the shoot though the food on the table was really tempting and it really made me wanna try Dining on Cloud 9... so I did, and I'm sharing my sky-dining experience today! Quite possibly the most romantic dinner I've ever had – can I just say I literally felt on top of the world? 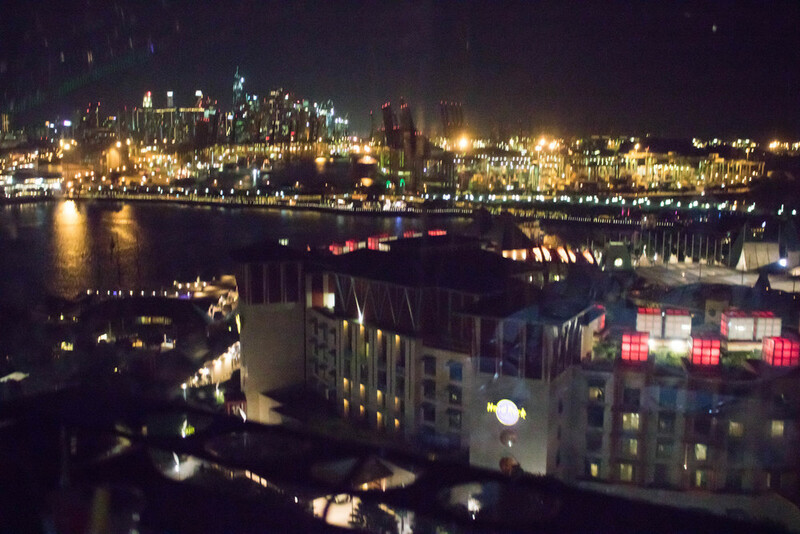 I've been on the cable car as a kid, as a youth, but this is definitely my first time Dining on Cloud 9, aka enjoying a four-course meal on a cable car ride. Yes, the skyscrapers and picturesque background you see in the pictures are real and pretty much amazing. Also, thank you my lovely date for the night, Desiree (@decadentdrama) for this picture! 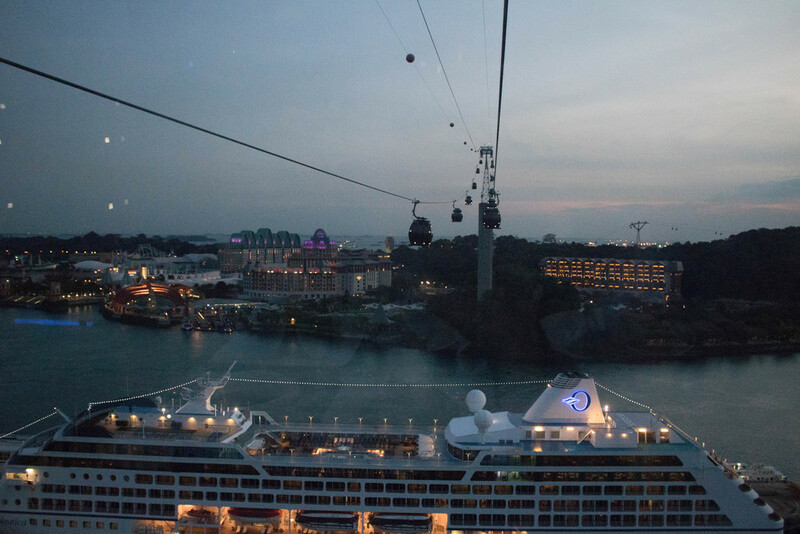 This amazing view of the Sentosa Harbourfront Precinct. With three round trips in total, we had plenty of time to take photos of the amazing view, of each other and of course, the food! 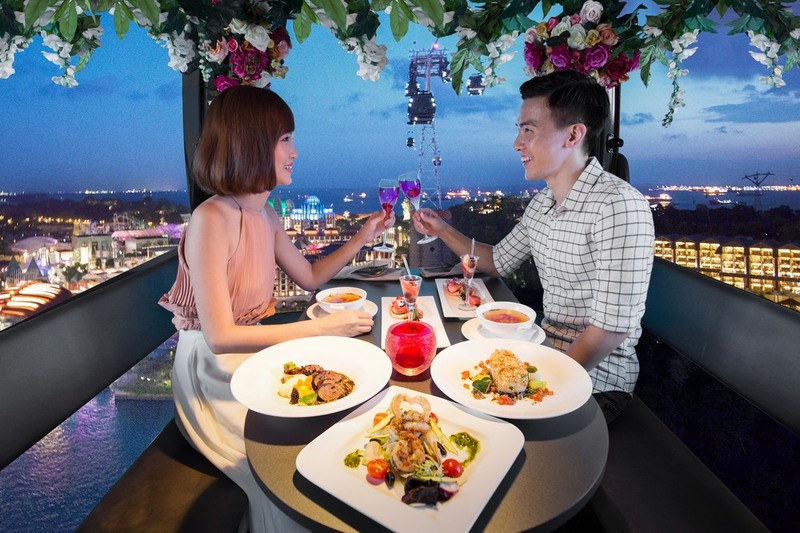 Not sure about you, but dining in a cable car definitely tops my list as one of the most romantic activities to do in Singapore. These king prawns were definitely the bomb-diggity! 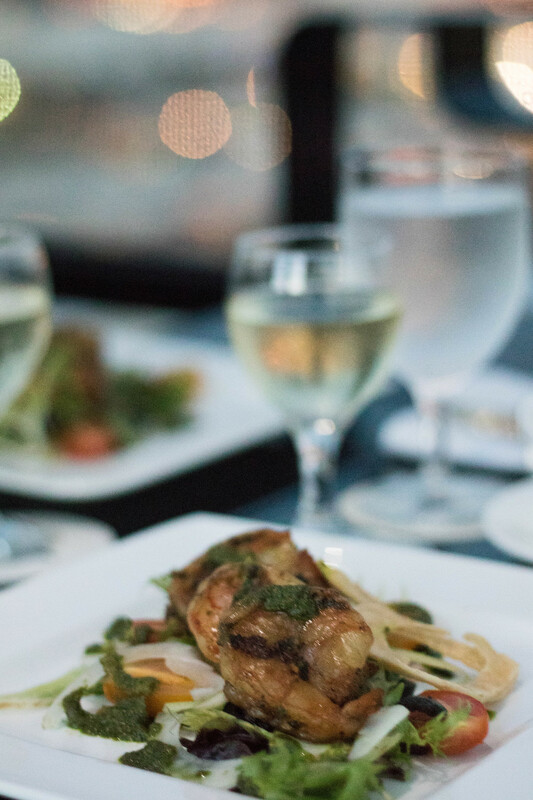 Served with asparagus, fennel salad and preserved lemon pesto, these king prawns were fresh, tender and juicy – everything I love about prawns. The essence of shellfish soup consisted of a foie gras dumpling, and came along with chunks of lobster meat and vegetables as well. I would like to think of this soup as a really rich and flavourful version of our local 'prawn mee' soup, except way yummier. I'm a soup lover and this was definitely off the charts! This was Desiree's main course but I really loved it! 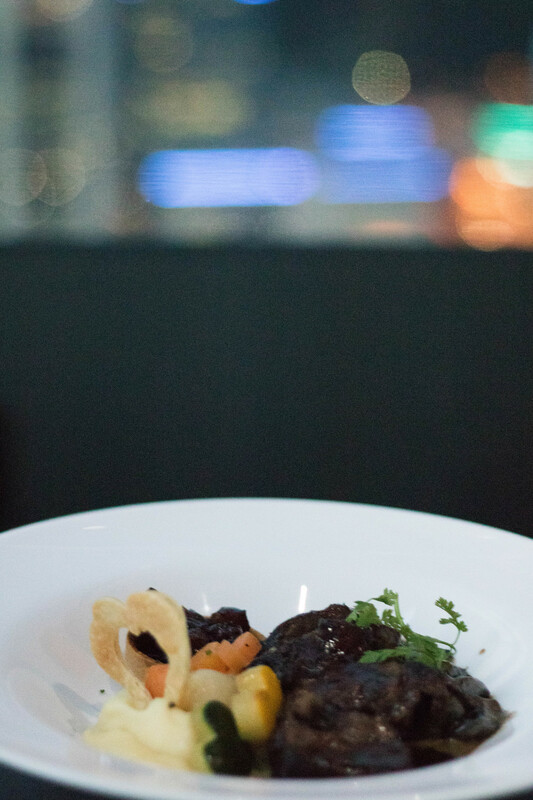 The beef was extremely tender and flavourful – probably with added flavour from the Shiraz reduction sauce. The accompanying potato mousseline (mashed potatoes) and the mushroom ragout complemented the beef really well, and it was a really yummy main course indeed! My main course! I'm not much of a fish person but the sea bass was really fresh and tender, a vast contrast in texture as compared to its almond crust. I really loved the texture contrast and how it went well together – soft, with hints of crispiness. 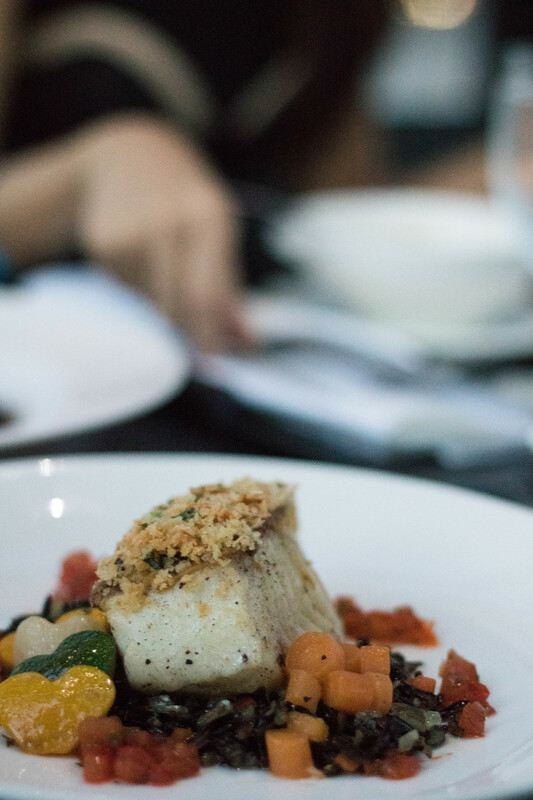 The sea bass was served with some wild rice as well as tomato salsa, adding some tanginess to the taste. Cheesy design with hearts all over, but I absolutely loved this dessert to bits! The pink heart's actually the lemon mousse and it was really light, fluffy and creamy at the same time. Hidden inside the mousse is also a layer of creamy dark chocolate cake - surprise! The wine-flavoured cherry and peach slices were served in a shot glass, and that slight alcoholic dessert complemented the mousse really well. What a beautiful sight to have when you're on literally top of the world accompanied by your loved one. Believe me, I can revel in that romantic moment forever. Pen a simple love message on a rock for your sweet Valentine! "You rock my world, and here's to a rock-solid relationship with you." Probably my favourite activity of the lot! How often do you get to decorate cupcakes for your loved ones (unless you're a baker). I think this simple gesture is just really sweet! Because what's a good Valentine's Day celebration without taking photos for memory's sake? It's difficult not to notice the wall of wishing bells at Faber Peak Singapore, and yes you can hang your own wishing bells in the Garden of Happy Promises with your loved one too! I hung one that says "love, peace, happiness", spot it if you're there! A twist to the usual movie theatre dates, this time it's an outdoors movie date! Movies start at 8pm on 14th February. Happy Sweet Valentine's and spread the love!